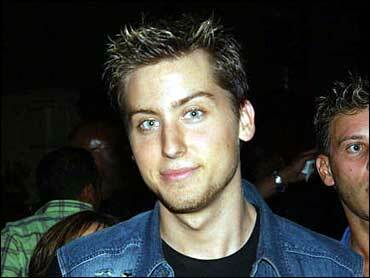 'N Sync singer Lance Bass has signed an initial deal to join a Russian mission to the International Space Station in October despite U.S. worries that the star is ill-prepared for the flight, officials said. "Lance Bass has signed a preliminary contract, he is officially a candidate," a spokesman for Russia's Rosaviakosmos said Tuesday. "Whether he actually flies or not is a question that will be decided in the near future." NASA said last week Russia's international partners in the station had asked for a review of Bass's medical background, education, experience and fluency in Russian, amid concerns he may disrupt work at the outpost. But Russian space officials said the star of the popular boy band would receive all the necessary training before blasting off from Russia's Baikonur cosmodrome in Kazakhstan. "Within a week he will begin training, and he should be able to cover enough ground," a spokesman for Russia's main cosmonaut training center said, adding that Bass would learn a few "necessary words" in Russian. Igor Marinin of specialist journal Novosti Kosmonavtiki said three months was more than enough time to teach Bass the basics. "All he needs to know is how to put on his suit and what not to touch. We could even train a monkey to do this -- in less time than that," he said. If he secures a final contract, Bass, 23, will become the third fare-paying tourist to venture into space aboard a Russian craft, after U.S. millionaire Dennis Tito and South African entrepreneur Mark Shuttleworth. Both were reported to have paid up to $20 million for the experience -- enough to cover the entire cost of a mission. Official International Space Station protocol demands six months' preparation for a flight, but the cash-strapped Russian agency asked NASA last week to approve the late nomination, saying Bass's payment would help it foot its bills and service its Soyuz space fleet. Tito faced similar opposition from NASA ahead of his May 2001 flight, but secured a last minute waiver from the International Space Station commission set up to approve cosmonauts.